After performing with various bands, in 1960 Pete and his brothers, Coke and Phil Escovedo formed the Escovedo Brothers Latin Jazz band, performing around the San Francisco Bay Area. In 1970 Pete and Coke formed the band “Azteca” that toured the United States with Stevie Wonder and The Temptations. They recorded two albums on Columbia records which are now considered collectors items, “Azteca” and “Pyramid of the Moon”. In 1972 Pete toured and performed with the Carlos Santana band and recorded three major albums, “Moonflower”, “Oneness” and “Inner Secrets”. In 1978 Pete and daughter Sheila E. recorded two albums on Fantasy records “Solo Two” and “Happy Together” which were produced by Billy Cobham. Pete’s versatility as a Percussionist has been featured in performances and recordings by a wide range of Artists such as Carlos Santana, Tito Puente, Herbie Hancock, Mongo Santamaria, Bobby McFerrin, Cal Tjader, Woody Herman, Stephen Stills, Billy Cobham, Anita Baker, George Duke, Boz Scaggs, Andy Narell, Al Jarreau, Ray Obiedo, Dionne Warwick, Marlena Shaw, Barry White, Angela Bofill, Arturo Sandoval, Poncho Sanchez, Chick Corea, Dave Valentine, Najee, Gerald Albright, Prince, and the list goes on. 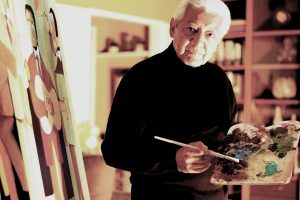 Pete Escovedo believes that there is healing through music and has donated his time to numerous charity events to help children around the world by teaching the importance of music. Today Mr. Pete Escovedo leads one of the top Latin-Jazz Orchestras in the country performing his own unique sound and continues to deliver his music throughout the world.